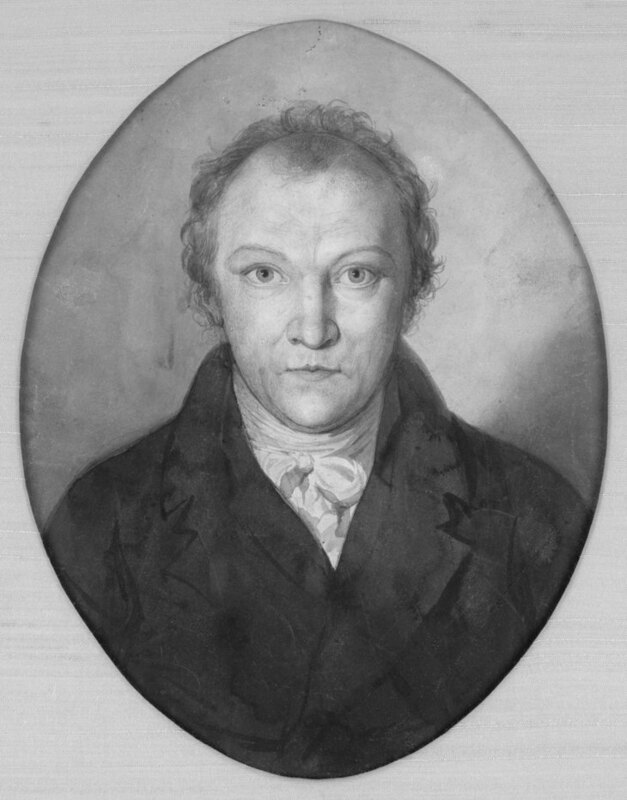 Unfortunately, his ill-fated exhibition of 1809 held above his family's hosiery shop in Soho, meant he was never lauded by the public in his time. 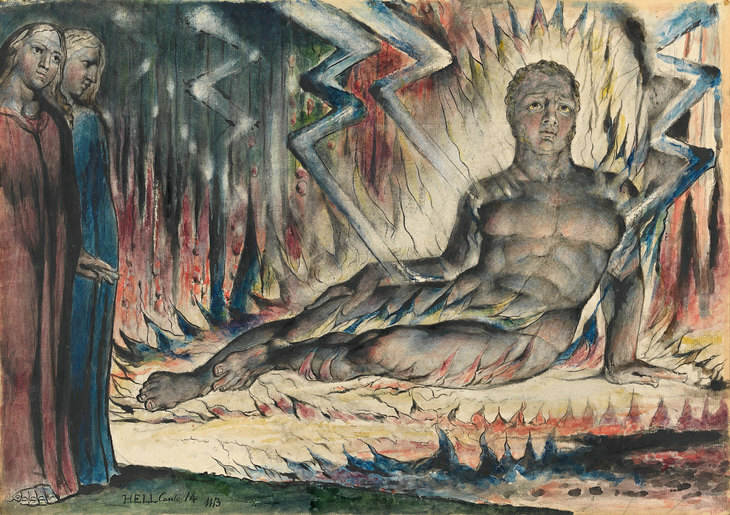 Nearby, the original artworks are displayed in a re-staging of Blake's failed exhibition. 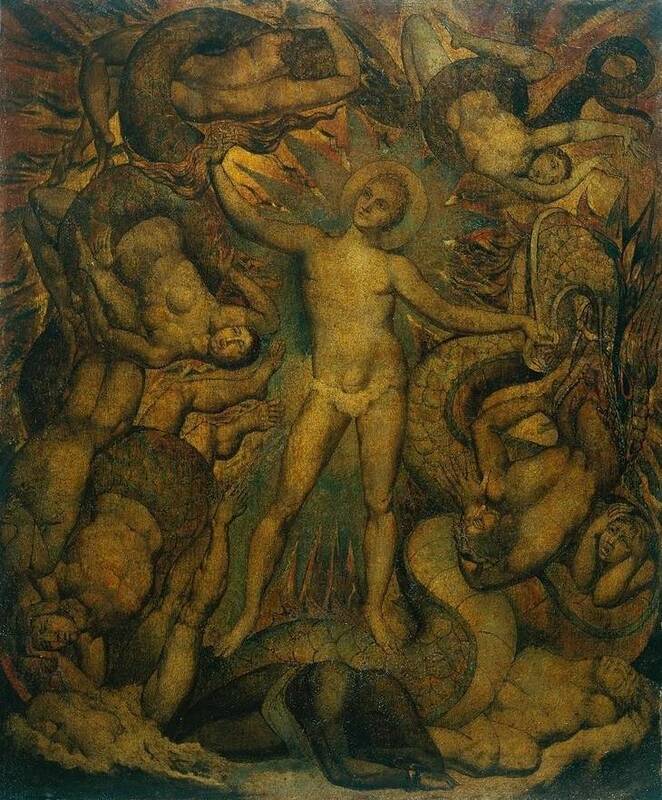 We've a feeling that this time, the works will be received somewhat differently. 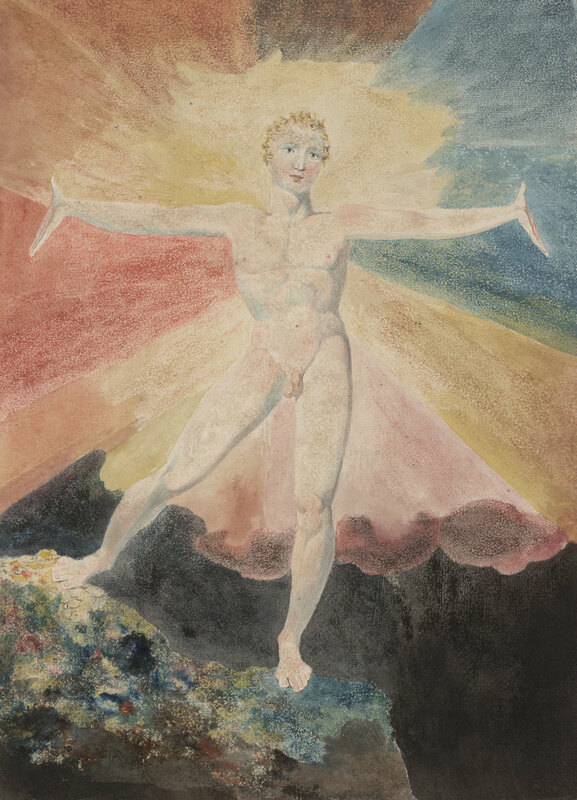 The exhibition opens with Albion Rose — Blake's incandescent visualisation of the mythical founding of Britain. 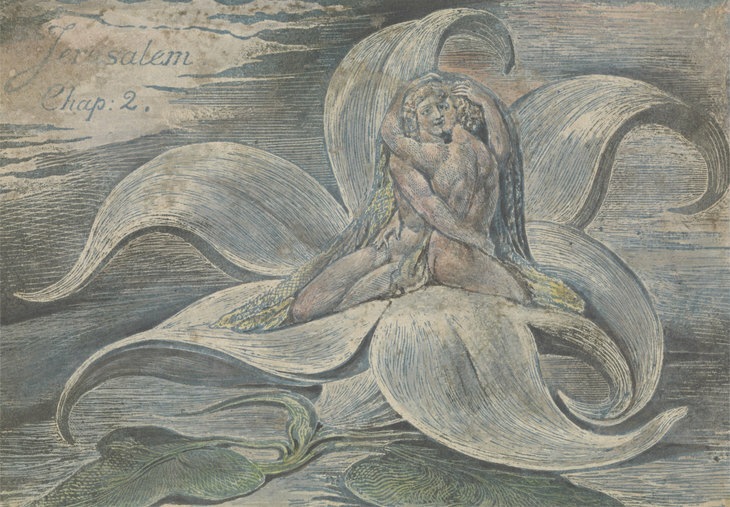 A section is dedicated to Blake's illuminated books such as Songs of Innocence and of Experience (1794), his best-known work as a radical poet — and something still taught in schools today. 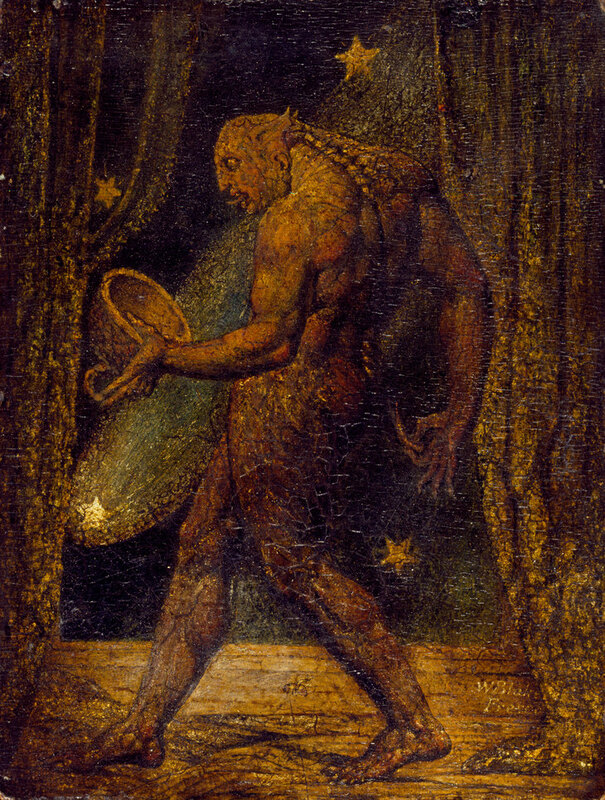 Other highlights include Newton (which you may recognise as the direct inspiration for Eduardo Paolozzi's Newton statue outside the British Library) and Ghost of a Flea, which was inspired by a séance-induced vision. 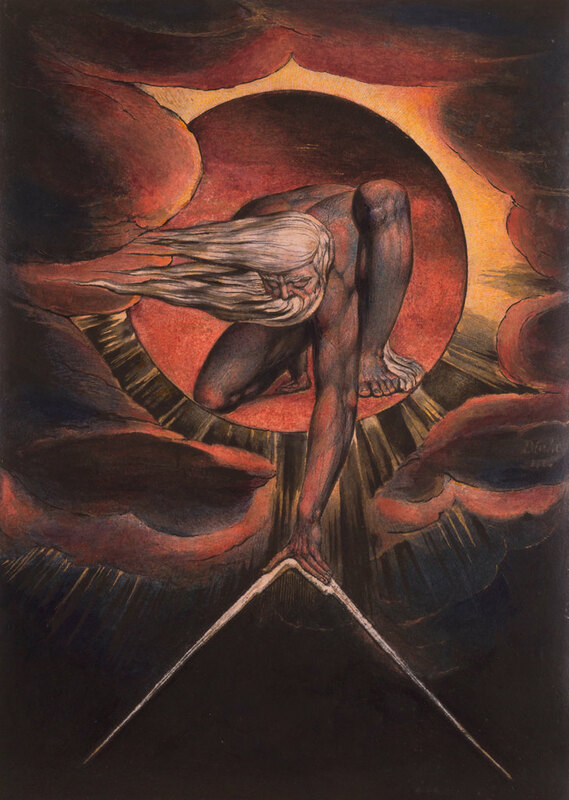 The exhibition culminates with The Ancient of Days 1827, a frontispiece for an edition of Europe: A Prophecy, completed only days before Blake's death. 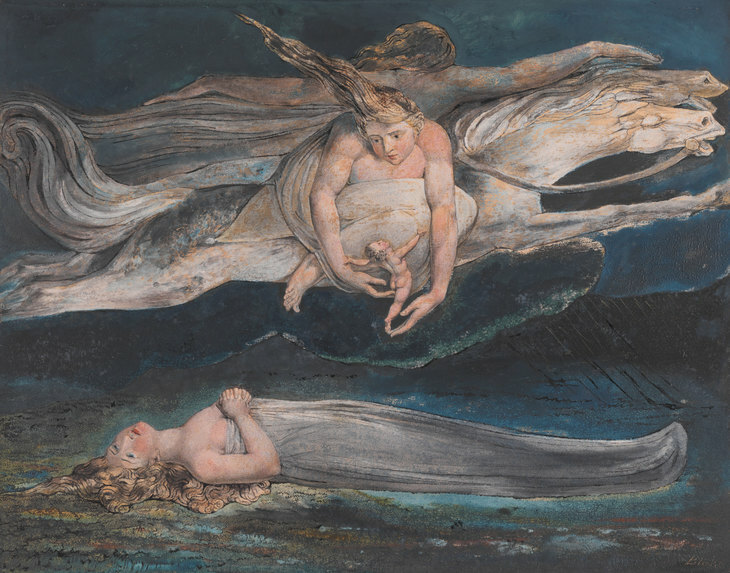 Elsewhere, William Blake: The Artist focuses on London, the city in which he was born, and whose burgeoning metropolis was a constant inspiration. 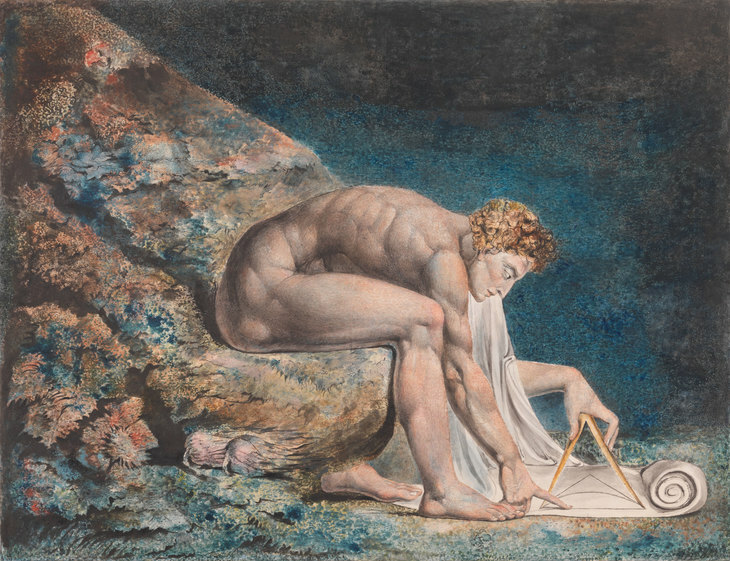 Another inspiration was Blake's wife, Catherine, who offered both practical assistance and became an unacknowledged hand in the production of his engravings and illuminated books.